A huge thanks to The Florida Aquarium for hosting us, to help facilitate this post. All opinions are my own. 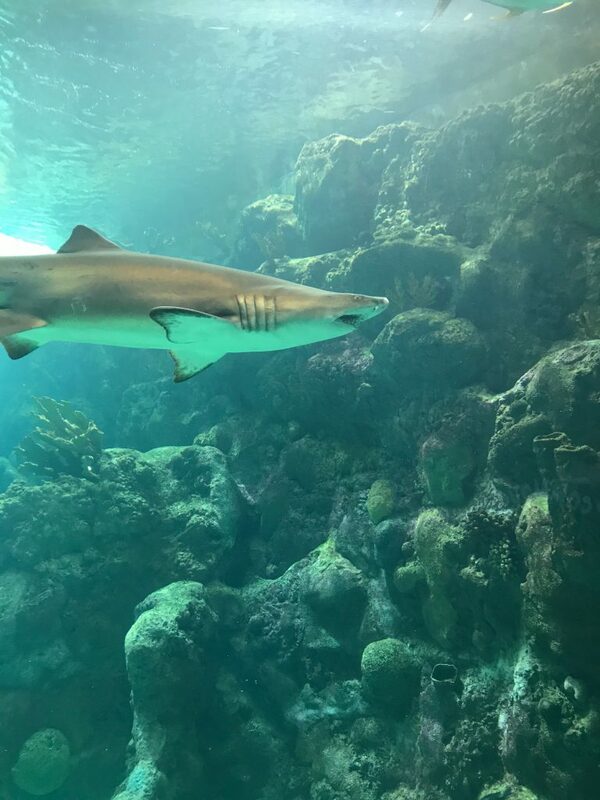 The Florida Aquarium in Tampa is a great family-friendly educational attraction for kids and adults of all ages! 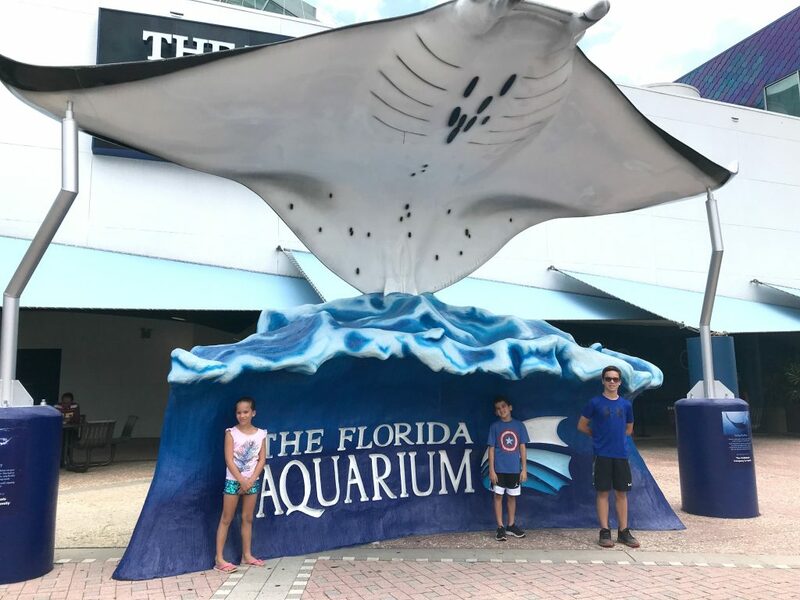 We have visited this aquarium a handful of times since moving to the Tampa area and it is one of our all-time favorite aquariums. 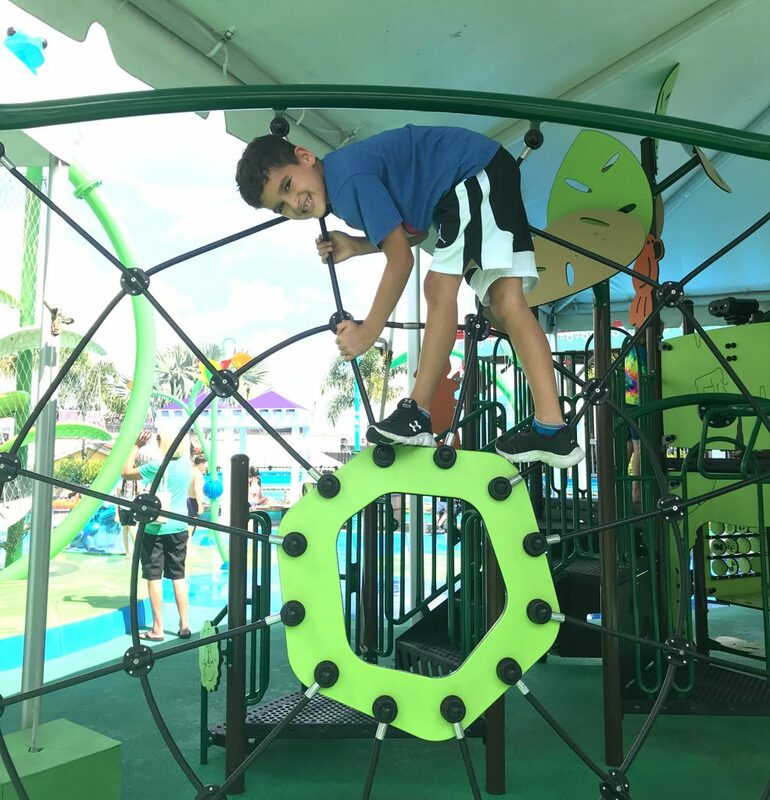 Between the exhibits, shows, special experiences, and outdoor play area, The Florida Aquarium is packed with exciting options to keep everyone entertained. 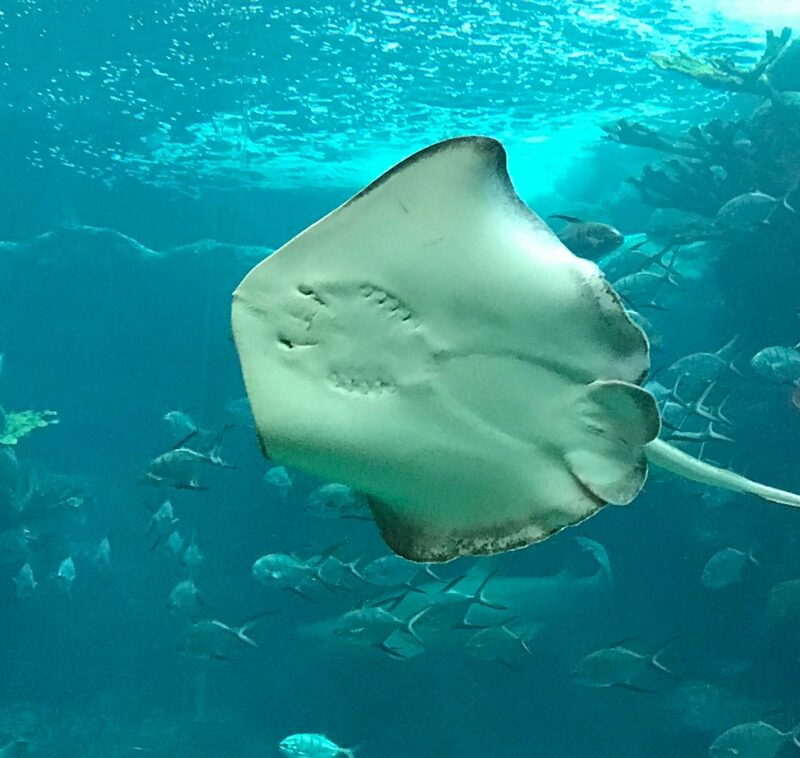 Here is a fun-filled guide containing all the information you need to have a great day at the aquarium! The Florida Aquarium is the perfect place to spend the entire day. While it can be walked through quickly and done in a couple of hours, you won’t be able to enjoy everything the aquarium has to offer if you rush through it. 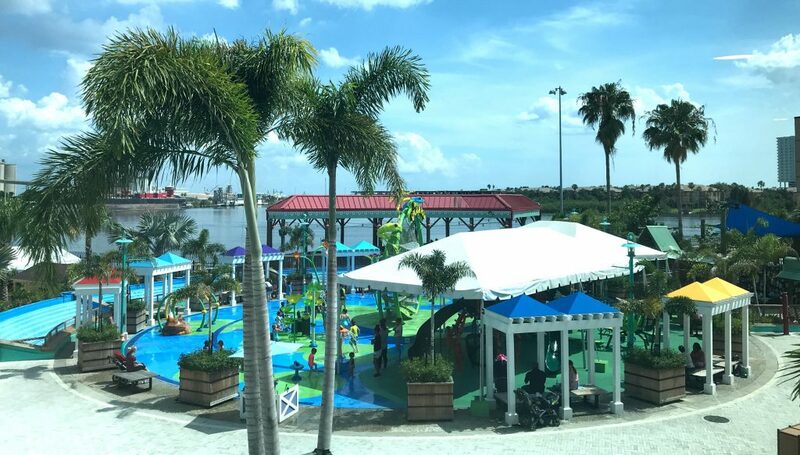 The aquarium is divided into 8 sections, 7 of which are animal exhibits and 1 outdoor area filled with a spray park and play area. 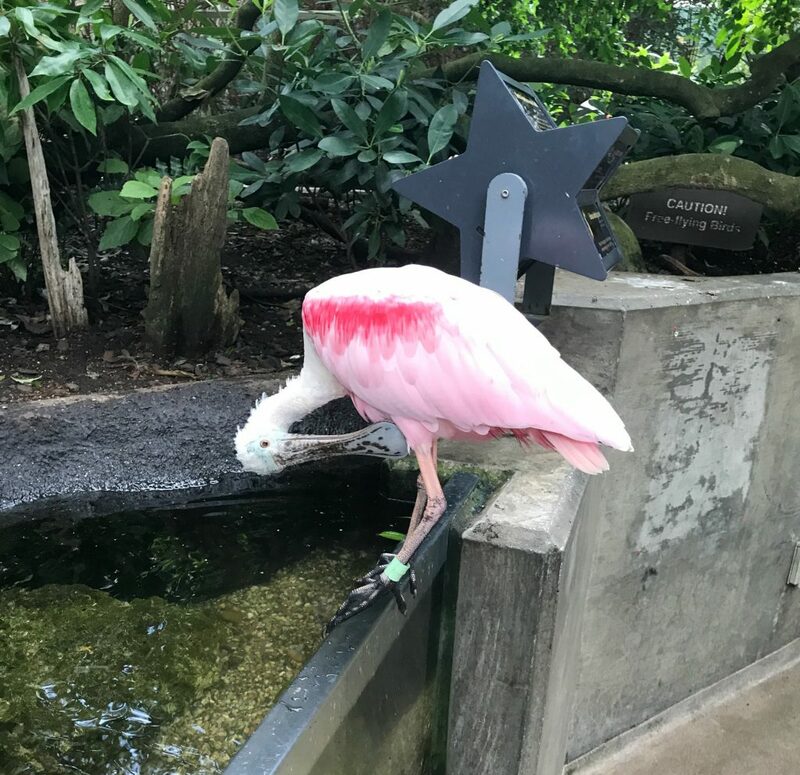 So once you are finished learning all you can about the animals, The Florida Aquarium still has a perfect place to spend the rest of the day relaxing and cooling off as you watch the cruise ships disembark. Parking at The Florida Aquarium is easily located adjacent to the building’s entrance and costs $6. Once you park and head towards the entrance you will purchase your tickets and head through security where your bags will be checked. Before entering make sure you get a picture with the aquariums sign! This huge sign featuring a stingray is a perfect photo opp. Once you pass through security, you will have the option of having your pictures taken in front of a green screen, the pictures they design are absolutely adorable, so I recommend getting them taken even if you don’t plan on purchasing them. After you pass the green screen it is time to see some marine life! As you walk into the aquarium you will see an escalator, and a touch tank filled with shells to mimic the ocean floor in front of you. The gift shop is to the right, and the restaurant and doors leading out to the back play area are on the left. I recommend exploring the touch tank and then heading up the escalator to begin exploring the 7 animal exhibit areas. Once you begin your journey through the second floor, it is laid out in a large circle which exits back on the first floor. 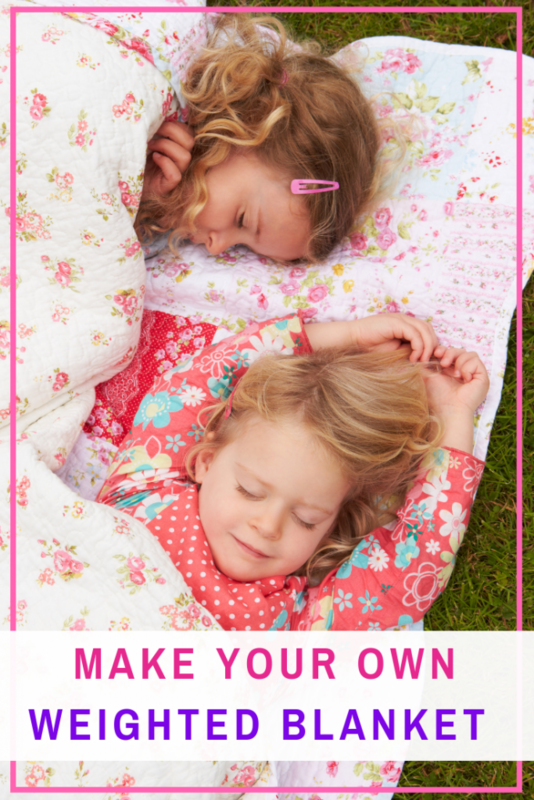 This makes it incredibly easy to see everything even when you are being tag teamed by multiple kids (like me, I usually visit on my own with my 3 children). 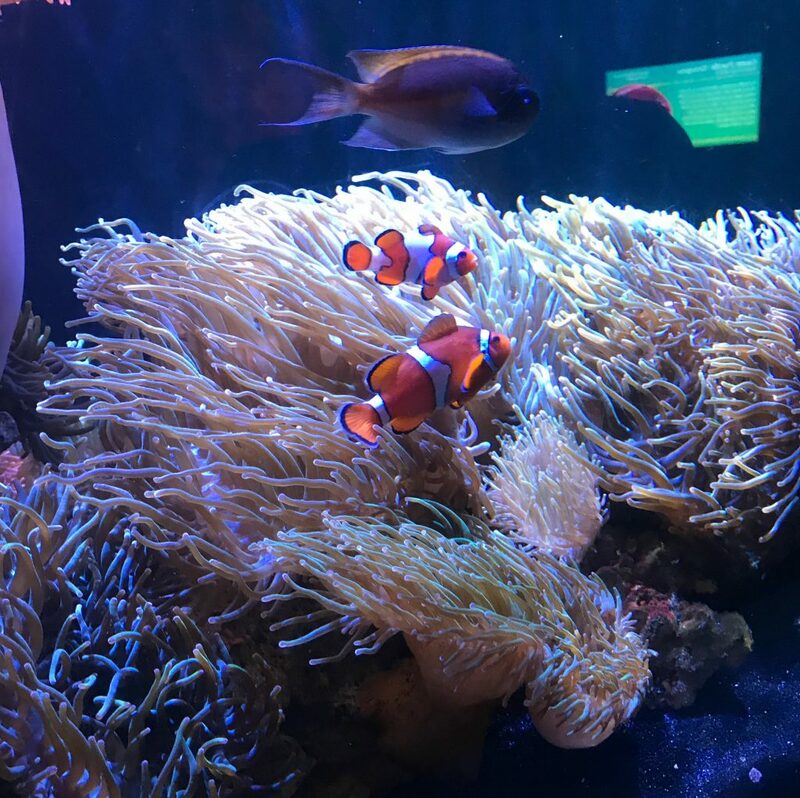 My kids all still love to stop at each tank and read the signs, so we usually spend about an hour in each area, not including the time we spend sitting to see shows. Then once we are back on the first floor, we usually grab some lunch and sit outside to watch the boats while the kids run back and forth between eating, playing on the playground, and cooling off in the spray park. Wetlands Trail: This area mimics the Florida wetlands containing alligators, otters, fish, and free-flying birds. 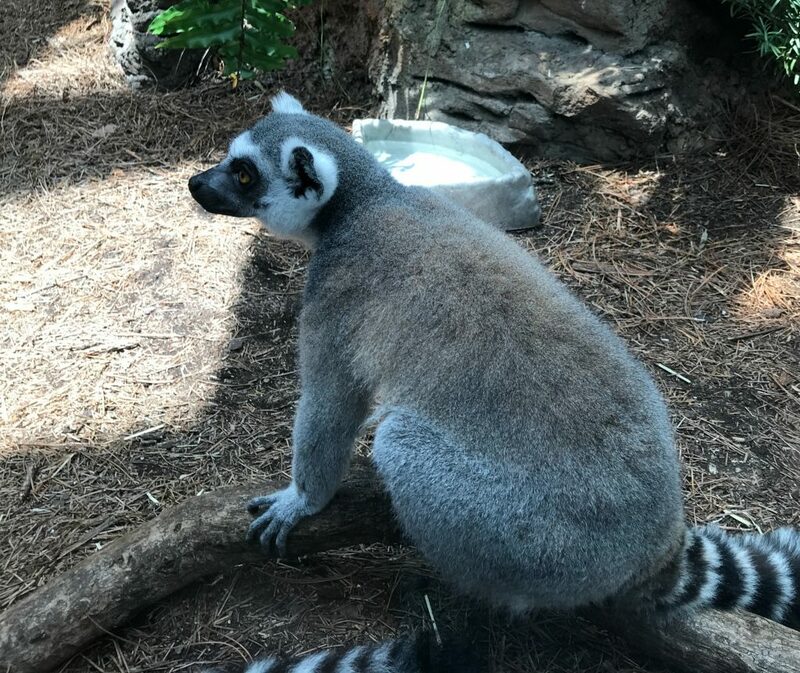 Journey to Madagascar: Take a walk up a flight of stairs within the Wetlands Trail to a unique Madagascar exhibit featuring lemurs, geckos, an Indian ocean reef, and more. My kids favorite part of this area is crawling inside a tree full of hissing cockroaches, this same exhibit also gives me the heebie-jeebies! Bays & Beaches: In this area, you can touch some stingrays and sharks while coming face to face with a 300 pound Goliath grouper. The Bone Zone: In this area, you get to touch an array of colorful creatures that have no backbone! Anemones, sea cucumbers, sea stars, Urchins, and more. 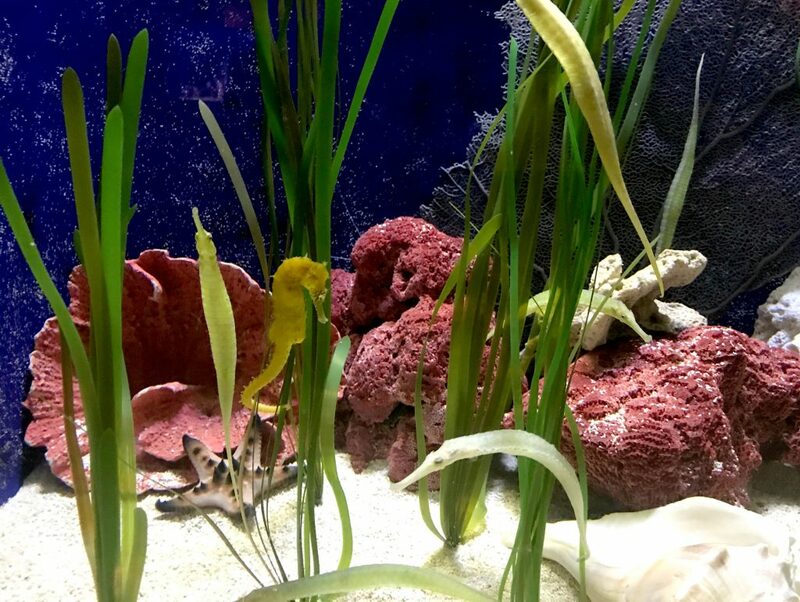 Coral Reefs: This section gives the feel of walking through tunnels and caves of coral deep in the sea, where you encounter a huge window into the reef habitat which is home to sharks, fish, moray eels, sea turtles, stingrays, and more. Dragons Down Under: Tucked off to the side within the Coral Reefs area is the Dragons Down Under exhibit area featuring real sea dragons of Australia and their seahorse cousins. 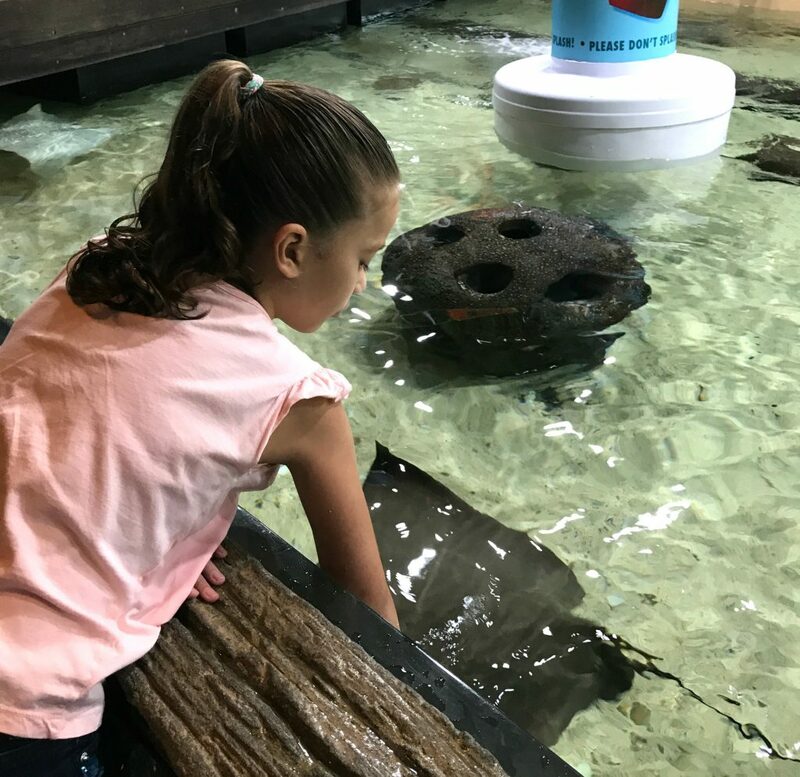 Ocean Commotion: This fun section features lots of interactive learning exhibits where you can learn about the sounds and sights of the ocean while watching beautifully colored fish, jellies, crabs, and more. 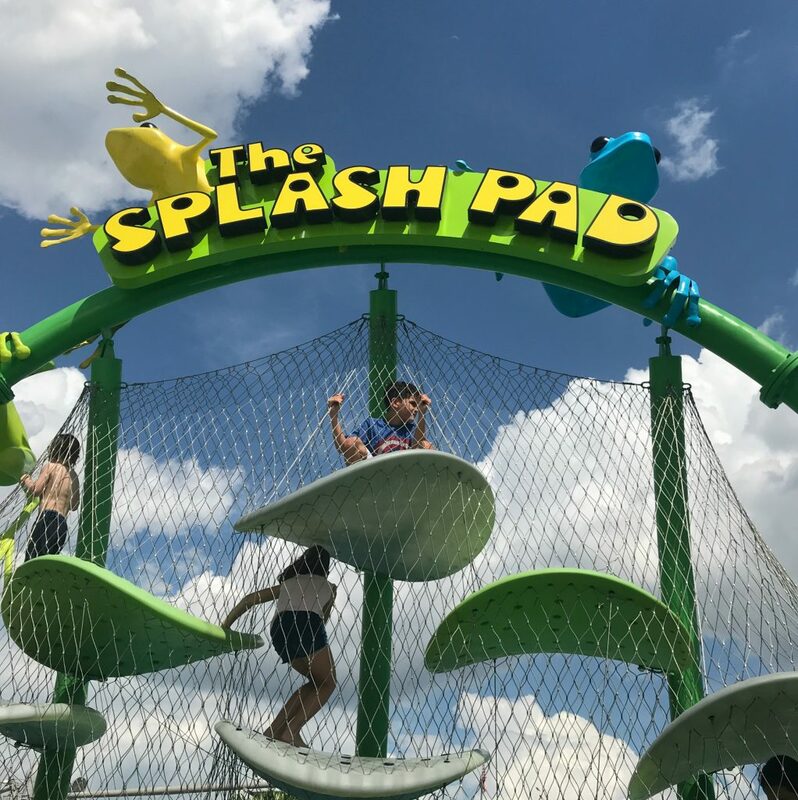 The Splash Pad: As you exit the Ocean Commotion area you will be back on the first floor where you can exit out the back doors to a large outdoor play area. This area also offers restaurant tables for those who want to eat outside, a beverage bar, and a 4Ducks Theater which plays a 4-D Film throughout the day. When you arrive at the aquarium make sure you grab a daily program schedule so that you can plan out any shows and feedings you want to see. 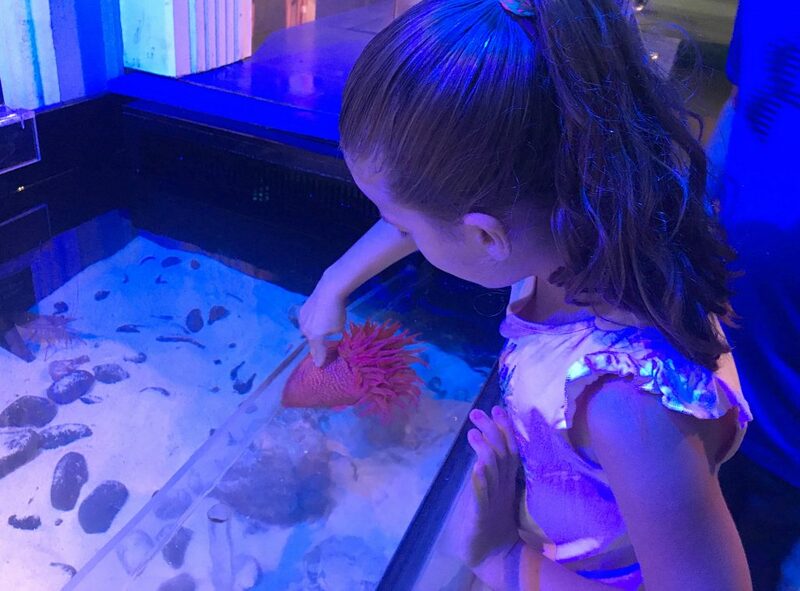 The Florida Aquarium offers a wide variety of shows that offer an educational experience through, animal meet and greets, interactive games, up close observations. 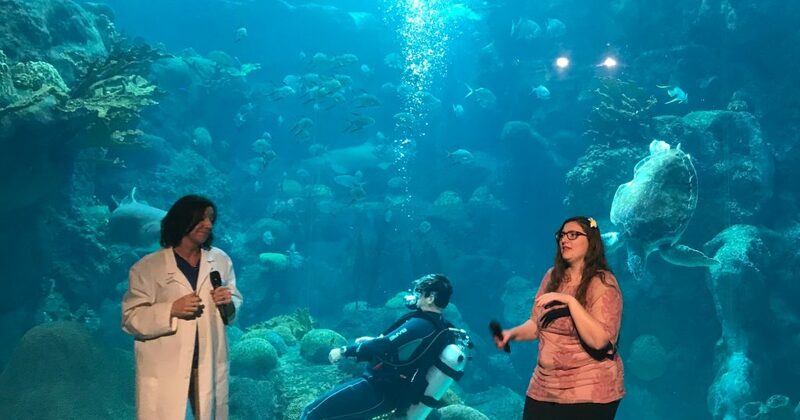 One of our favorite shows at The Florida Aquarium is the Secret Sea Life Superhero show located in from of the panoramic viewing area in the Coral Reefs section of the aquarium. This show is an interactive game show with divers inside the reef habitat. 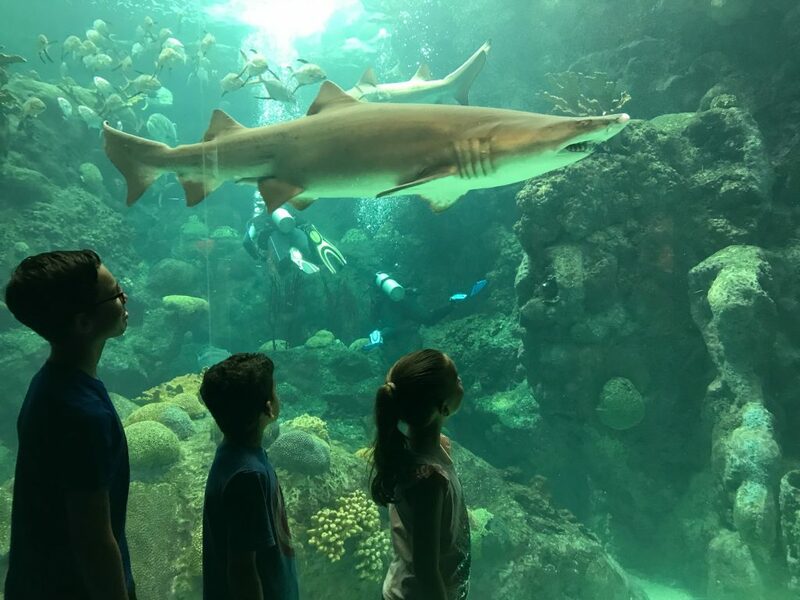 The Florida Aquarium offers some incredible experiences that let you not only get up close to animals but also get in the water with them! These adventures are booked separately from your admission ticket and offer an unforgettable experience. These experiences can be booked online here. 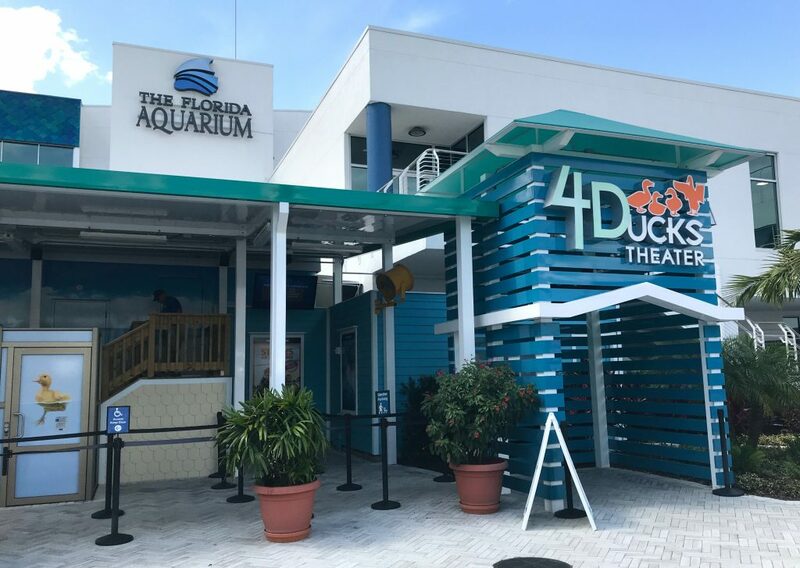 The Florida Aquarium’s 4-D theater located outside across from the splash pad combines the visual 3-D film effects with a variety of sensory effects built into not only the theater but the seats themselves. Watch as on-screen images are brought to life with bubbles, snow, water, wind, and more! The theater is open from 10 am to 4:30 pm and is included with every admission. 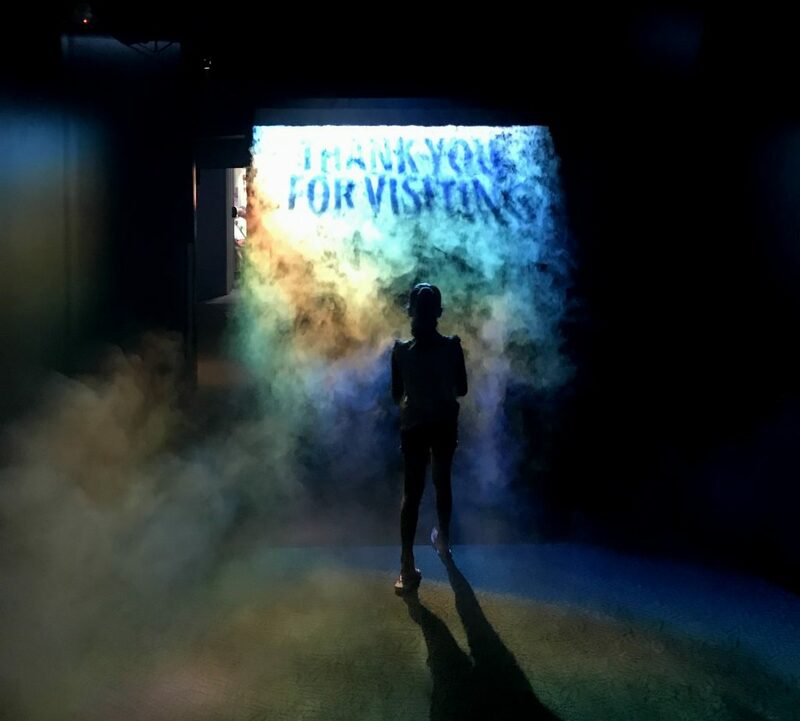 Visit the theater to see what is playing during your visit and show times. 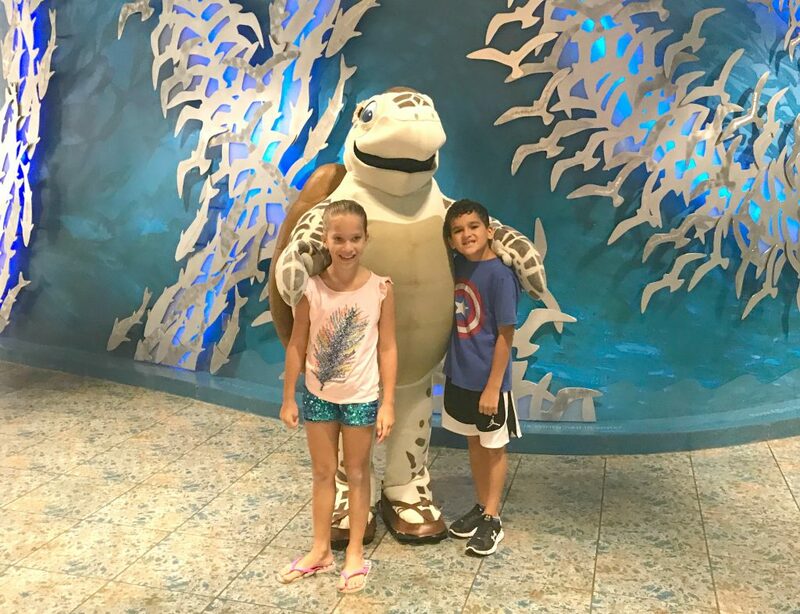 The Florida Aquarium has several options for food and drinks, Cafe Ray offers grilled items, salads, snacks and more on the first floor of the aquarium. Sandy’s Snack Shack is outside by the splash pad and offers a variety of kid-friendly drinks and snacks. The new outdoor cantina Fins offers a great selection of adult beverages for those who want to sit back and relax for a little while. The gift shop located on the first floor across from Cafe Ray offers adorable souvenirs, sunblock, and swimsuit necessities in case you forget anything you need for the splash pad. The Florida Aquarium is open 7 days a week from 9:30 in the morning until 5:00 in the evening. Purchase tickets online here and save! 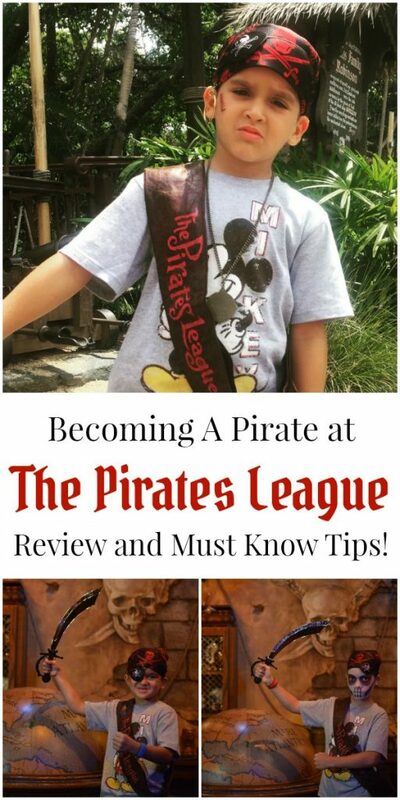 As a large family, I always look at the membership options when planning our family adventures. Like most local attractions, The Florida Aquarium’s annual membership would be a great option for families. The current retail cost of a day for the 5 members of my family plus the cost of parking would equal out to approximately $135, however, an annual membership for 5 people is currently $175 and includes free parking and unlimited visits for a full calendar year for only about $40 more. 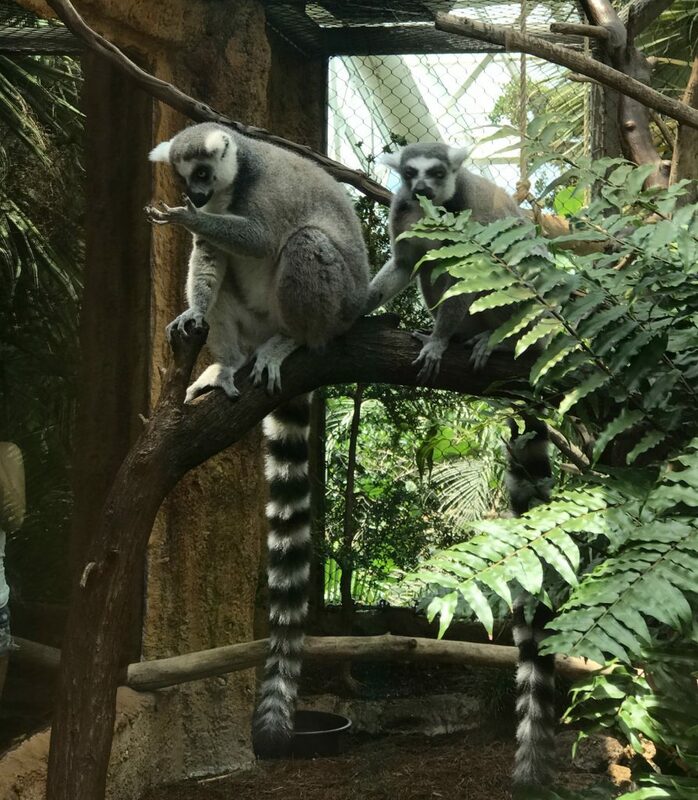 Plus, you receive discounts throughout the aquarium as well as special promotions at other attractions that are part of the SHARE program. Learn more about membership options here. Want to learn even more before your visit? 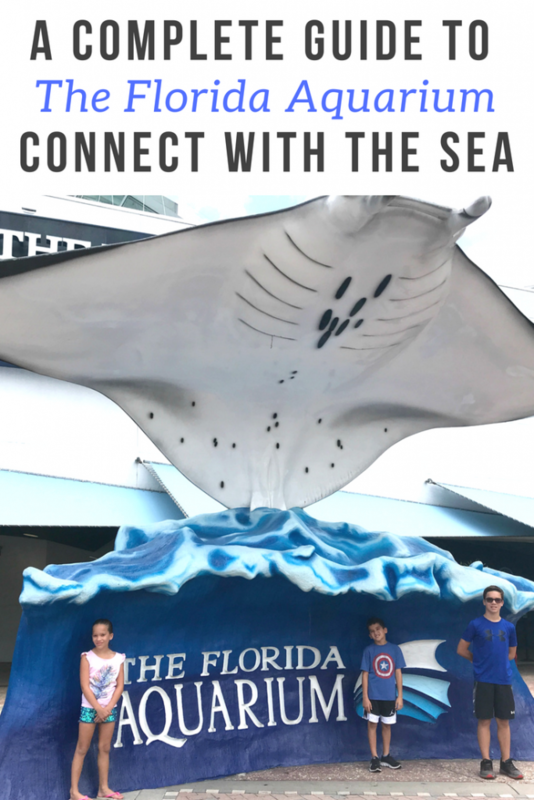 Check out The Florida Aquarium’s Website to plan your visit, and connect with them on social media! What a fun place to visit!!! 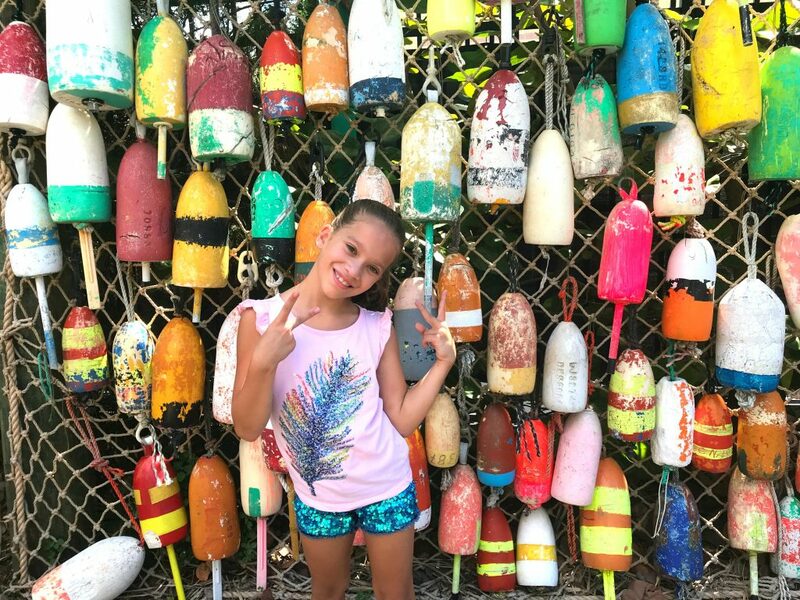 There is so many amazing sea animals to see! I would be mesmerized all day! I love there are so many animals you can tough!! I grew up in Tampa and remember how excited we all were when the Florida Aquarium went in! 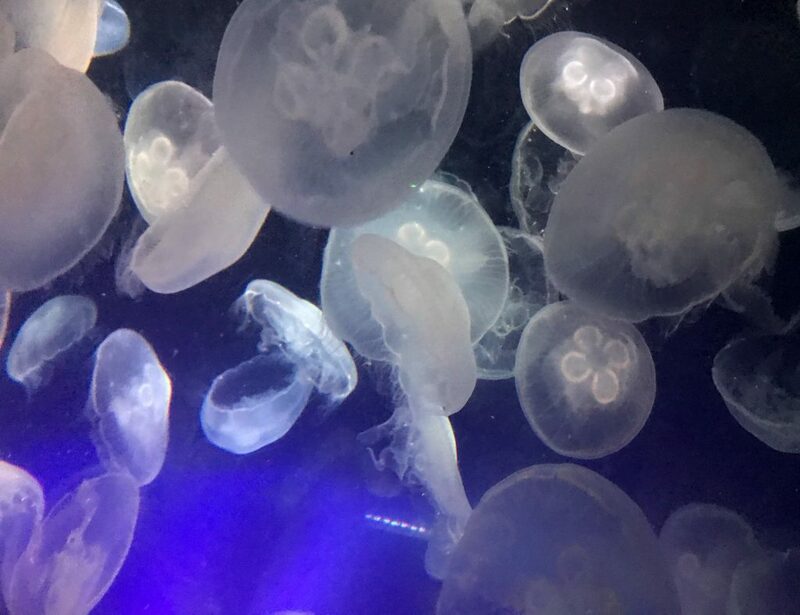 It’s a great place to visit – love the jellyfish! This looks like one of the best aquariums out there. I love the different sea animals. You could spend the whole day! Wow! This place is rocking! I love aquariums. I love seeing different ecosystems and I also love that this place has a kid area where they can be active in. What a fun place! Sea Dragons are my favorite!! I have been to Florida many times but never visited the aquarium! I know I need to now! MY family loves aquariums, we used to live in the Tampa Bay area of Florida but never visited here before. We need to get out there and see more things like this because we always have a good time. That looks like such a great place to be. I’d love to take my girls here. I’ve always wanted to go to this one too. It looks so neat. Wow, there is a lot to do there. I love when I go places and I can make an all day thing out of it. It is very reasonably priced too. I would love to visit this aquarium! I’m always amazed by the incredible sea life found in aquariums. That looks like so much fun! My kids are mesmorized by the sea, so I know they’d have a blast at the aquarium.